Listen up Southern rock fans – this could be your very last chance to see the legendary Lynyrd Skynyrd live!! 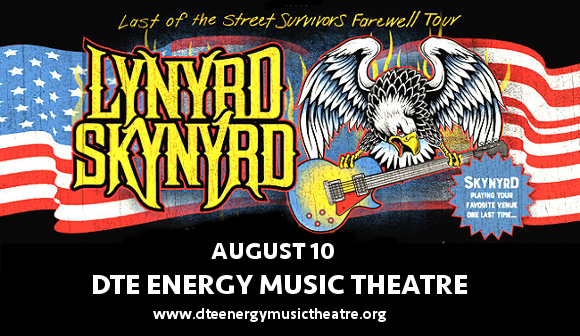 This summer, they’re embarking upon the Last Of The Street Survivors Farewell Tour, coming to Michigan’s DTE Energy Music Theatre on Friday 10th August 2018 and you can be there!! Tickets are going to disappear FAST for Lynyrd Skynyrd’s last ever major tour – hit that “Buy Tickets,” button NOW to be sure of your place!! Makes sense to us!! Are you ready to be part of Lynyrd Skynyrd’s farewell journey?? Grab those tickets NOW, before they go! !